you have been using your brushes daily to apply makeup. let me ask you this, when is the last time you cleaned them? brushes not only collect makeup, but also the dirt and oil that is on our skin. gross. step 1: one at a time, rinse your brushes under warm water removing any loose excess dirt and makeup. step 2: take a small drop of baby shampoo and apply to palm of your hand. 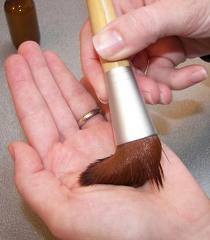 gentle rub makeup brush in your palm to work up a lather. if the brush is especially dirty, like my face powder brush, i will rinse and repeat two or three times. step 3: rinse under warm water. carefully seperate bristles while rinsing to ensure all makeup and soap is completely removed. step 4: blot dry on a towel, form bristles to their original shape and lay flat to dry. 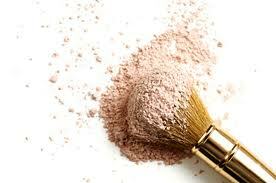 I wash my foundation brush regularly, but somehow I always forget about the powder brush and eyeshadow brushes. Thanks for the reminder! I usually clean my brushes! Great tips! I try to wash my brushes once a week, but I'm really bad about it. woops. gotta work on that. For some reason, I thought it was more complicated than this! I will be washing my brushes tonight!